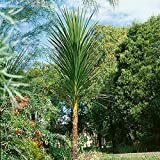 Cordyline australis growing shrub‎ of the genus Cordyline also known as Ti plant, Cordyline australis perennial evergreen used as ornamental houseplant, can grow in tropics, mediterranean or subtropics climate and growing in hardiness zone 9+. Leaves color can be green, pink, purple, yellow or red the leaves can be variegate in some cultivars in yellow, purple, pink or red, the leaves grow in rosettes structure, the leaf spiny pointed in the spear shape 20-60 cm. Flower color white the flowers small grow on inflorescence spikes. 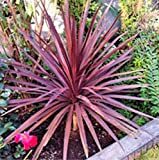 When is the best time to prune a Cordyline australis shrub?